I had ideas and intentions of a blooming easy effortless and energised pregnancy followed by a drug-free, pain-free birth with high vibes and elated vibrations. I was house bound by the end of my pregnancy with a sprained spine, bruised pelvis and bruised hips, suffering terrible insomnia, and a desperate need to pee every hour, which then led to a six day labour, complete with every drug known to man, pain like I’ve never experienced in my life (when the epidural fell out), a two and a half hour stint of pushing, only to be told I needed to have an episiotomy and a forceps delivery. Following which I began severely hemorrhaging and upon losing a litre of blood I began to slip away. 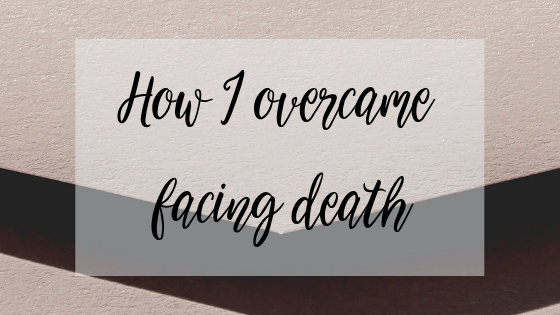 An outer body experience showed me what really matters, and in those hours where I almost lost my life, in and out of consciousness, I prayed for my newborn daughter and the family I thought I’d be leaving behind. Four weeks later I’m still here and raising the most precious human being I’ve ever laid eyes on. The post-partum phase is just as gruelling as the pregnancy FYI. How much information is TMI?! I could barely walk the first two weeks, or even sit upright. Everything hurt, I was spaced out on pain relief, and yet the instinct to nurture and nourish this tiny human over rode all the self-care instincts. And one that could easily have destroyed me completely. The urge to turn off the world and disappear into a cave of Netflix and breastfeeding was strong. To be fair it still is. But we experience life in its extremes so we can serve with our stories. And service in every capacity is my life’s work. Service to my daughter, my family, to my clients, and to you Harriette. In every moment of fear, every moment of wanting to give up, every moment of thinking the end was never in sight, every time I lost faith, I could do only one thing. To lead my own life. To lead my own mind. To lead myself into a vibration which served me instead of scaring me. The first lesson of motherhood: Divine Leadership. And the first lesson of Leadership: lead your damn self! I’ve been back at work for the last two weeks, coaching clients and creating content, despite all I’ve been through, because I choose to lead a life of my own design. And I choose to lead by example. In the last two weeks I’ve witnessed in myself, and in my clients, what it is to be a true Divine Leader, and the power embodying that role brings. Power that facilitates achieving the impossible. Power that creates magic in moments of desperation and hopelessness. Power that elevates you above and beyond human crises. A Power that has called me to put together a very select group of people to mastermind with me in a brand new circle. A 9 week programme in which we come together for 6 group calls and individual 1:1 call with me, whilst engaging round the clock in our own accountability group. Over the course of 9 weeks, I will share with you the five cornerstones of Priestess Presence and how to embody your own Divine Leadership status, be that as Priestess, Shaman, Healer, Teacher, Guru, Speaker, Role Model, Influencer, Coach, Earth Mother etc. For those of you considering embarking on my Priestess Protege programme in 2019, you will also receive a £1500 voucher towards the full protege investment as part of joining this mini-Mastermind. I’m only offering FOUR spaces for this exclusive group. We start in December and wrap up in early Feb, allowing you to take all that you have understood and developed within yourself in 2018, and elevate that into the new identity and role you will embody in 2019 and beyond. If you’re feeling the call to rise up into the highest conscious embodiment of Divine Leadership then reply to this email for more details. Places will be offered on a first come first served basis only. Here’s to you, your growth and ascension, and divine ability to lead, not only your own life, but the world as well.